There’s something so exciting about unwrapping a new calendar from its package and thinking about all the possibilities for the new year. You can wash away the fact that you’ve eaten like a trash panda for the past two months and make resolutions to eat better or exercise more. 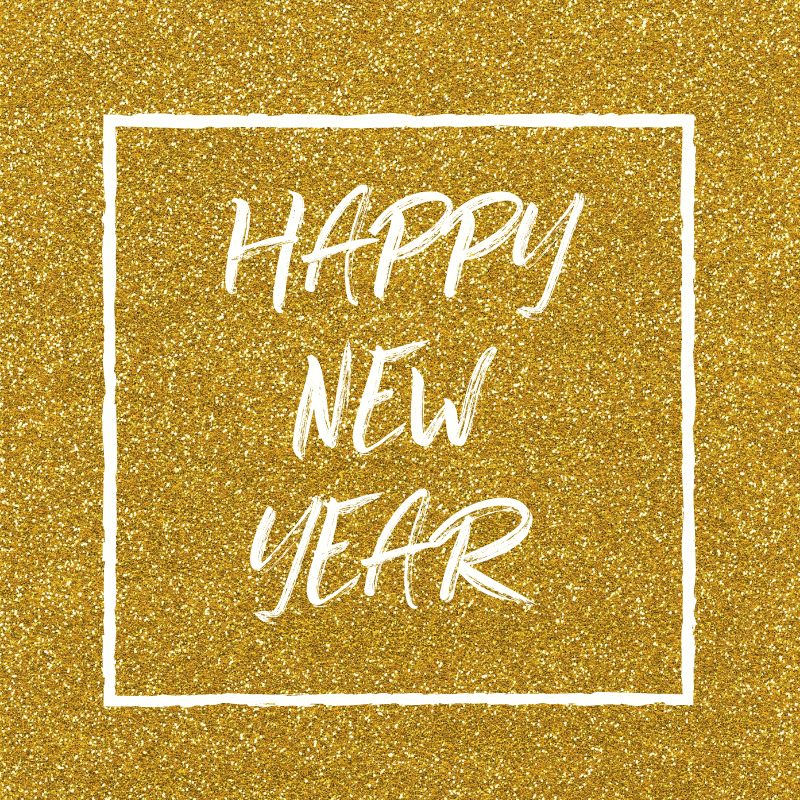 You can think about how you could have been a better friend over the past year and resolve to do better this year. And if you’re a quilter, you’ve been going through your sewing room and Instagram and trying to decide what the next year will bring you. I’m doing the same thing here this week. 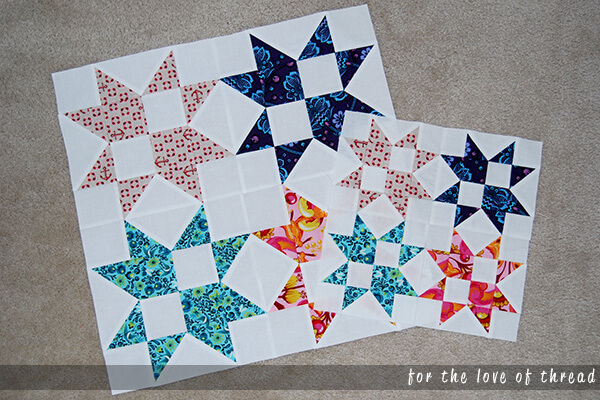 Buy my quilty resolution for 2019 might just surprise you. I’m resolving to create more UFOs this year. The end is near. This month’s block, Strawberry Star, is the last block in the Clementine Quilt Along supporting St. Jude’s Children’s Research Hospital. All that’s left is to get the setting instructions and finish up the top. I normally use this space for uplifting posts about the art of quilting and sharing the joy it brings me. But today I need to get real with you. Last week was a rough week. Last week we learned about the deaths of Kate Spade and Anthony Bourdain. Last week approximately 154 U.S. veterans took their lives – at a rate of nearly one death per hour. Last week 865 Americans took their lives – a rate of nearly 45,000 per year. We’re getting better at talking about suicide and depression, but we can do more. While my life is far from irreparably broken, I’ve had my own dark moments. Moments where going on just didn’t seem possible. Moments where “ceasing to exist” – as I called it – seemed like a viable option. One that would be better for me, my family, and my friends. Moments where just getting out of bed to face another day were filled with extreme physical and emotional pain. And during these times, people would say, “That’s the depression talking. That’s not the truth.” But for someone in that moment, it’s the only truth they know. At least that’s what it’s been like for me. I’m lucky in that I’ve always managed to reach out for help when I need it the most. I’m lucky that when I’ve asked for help, I’ve received it. With celebrity suicides, we’re quick to point out just how much the person had going for them – how on top of the world they seemed. I’m here to tell you you don’t need to be a celebrity to get that reaction. Most times I’ve reached out to friends or family for help, they were completely shocked that this was something I was dealing with. “But you’re so strong! You’re winning at life right now. I never would have guessed you struggle at all.” Like the other half of an abusive relationship, we can be good at hiding the abuse and putting on a good show. And while you might mean well to say these things to someone who tells you they’re suffering, tell them instead that’s it’s ok to be weak. Tell them you’ll help be strong enough for the both of you for as long as they need it. Tell them honestly and gently what losing them would mean to you. Be a voice that’s louder than depression. Through hard work, I’ve been able to surround myself with people and activities that have kept my life in the light for a long time now. My friends who are like family, my daughter, my cat, exercising, and – yes – my quilting keep me going. Through admitting I’m not as strong as the world thinks I am, I’ve been able to find strength in being weak. I’ve found courage in being weak. And today, I’m choosing to be weak in front of you. Because maybe you need someone to show you it’s ok. If you’re struggling, ask for help. If you truly don’t feel your friends and family would understand, the National Suicide Prevention Lifeline is there for you. Call them at (800) 273-8255. They’re available 24 hours a day, every day of the year. If you have a loved one you haven’t heard from for a while, reach out. Be the one who calls or texts. Share some of your strength with someone who thinks weakness is all they have left. 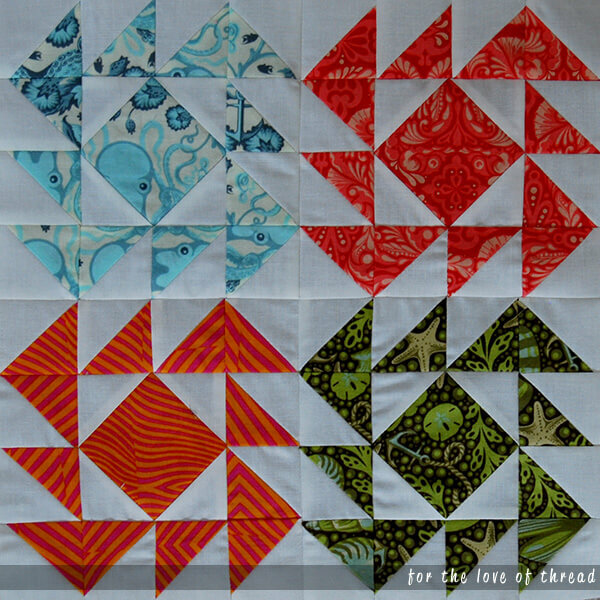 I’ll be back next week with more quilting news. Until then, love each other. There’s only one more month left in the Clementine Quilt Along. I’m excited to soon have all the blocks I need to complete the quilt top, but I’m sad that this great project is coming to an end. But first, let’s take a look at month five: Pineapple’s Puzzle. Is it a little creepy that the blue octopus seems to be peeking at you from every angle?! 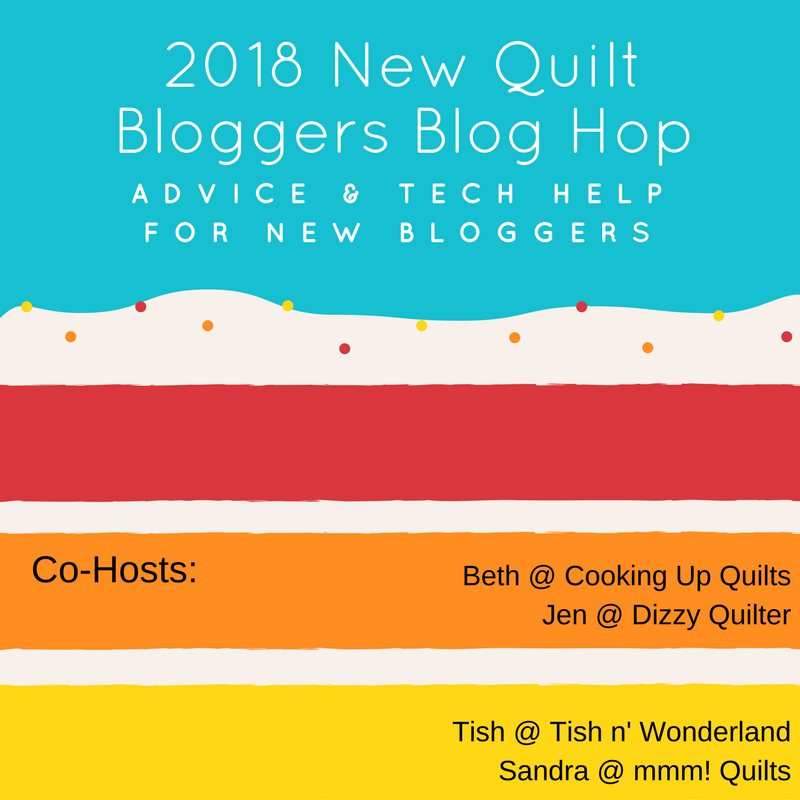 Welcome to the final week of the 2018 New Quilt Bloggers Blog Hop. Over the past two months, we’ve been working making our blogs better and talking quilty things. 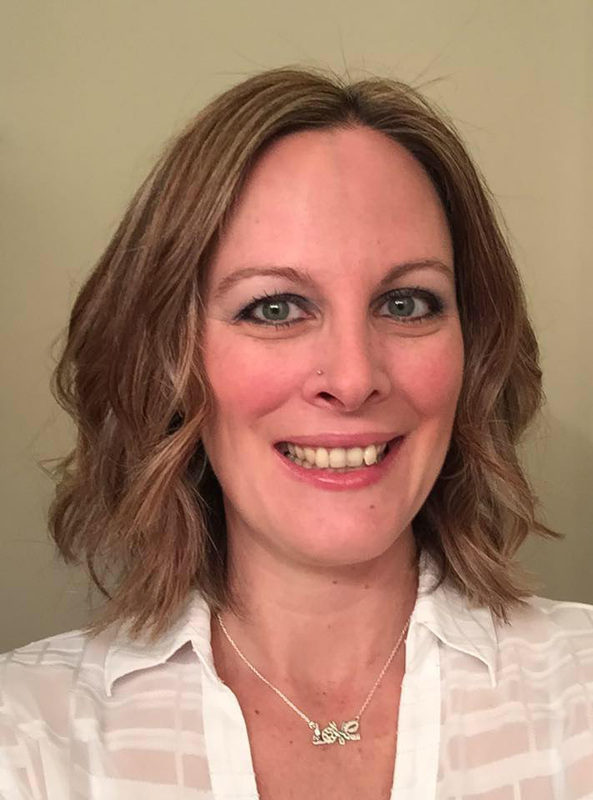 Please visit our awesome hosts to see who else is introducing themselves this week and to enter to win some great prizes (giveaway details are at the end of this post). Our hosts are Sandra from mmm! quilts (and my hive leader), Beth from Cooking Up Quilts, Jennifer from Dizzy Quilter, and Tish from Tish n Wonderland. Without my Twenty Stash-Teen goal, I might not have been so willing to cut into my Tula Pink stash. 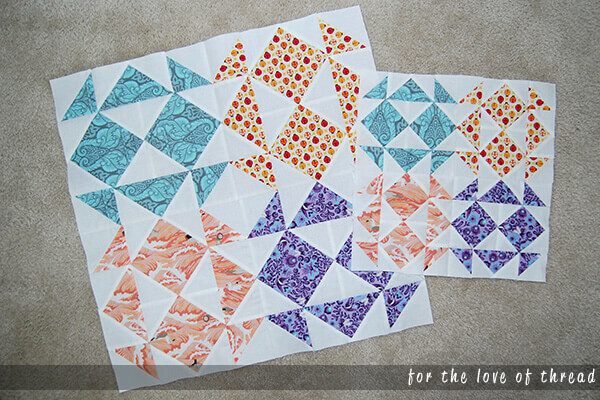 I’m loving how these Tula fabrics make these blocks sing! I think if you lined up all my quilts from first to most recent, you would be able to tell when I got to that point. First there was the flowery, cutesy phase that honestly makes me want to puke now. Then bright colors on black backgrounds, muted colors throughout, rainbow quilts, bright colors on white backgrounds, geometric prints, literally using all the colors, and solids (where I am right now). 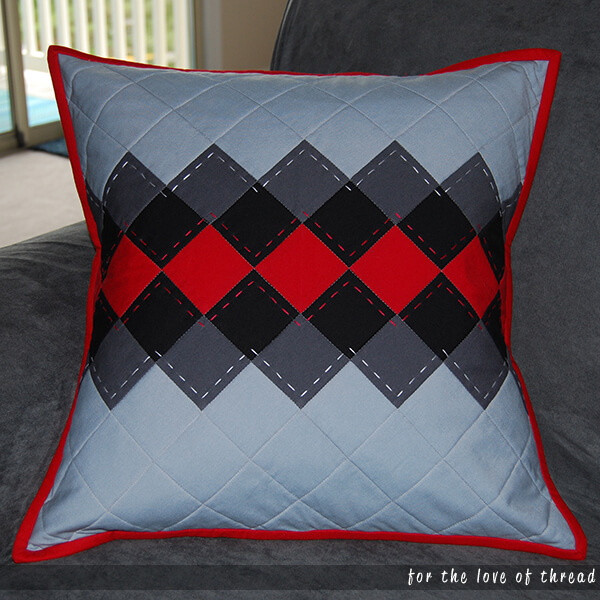 And then there was the phase where I learned needle-turn appliqué and didn’t piece any quilts for almost a year. Oh, and we can’t forget my grayscale phase. I’ll never forget the looks I got in an appliqué class when I started creating gray stems for my flowers. I’m pretty sure I heard one classmate ask another if I was color blind! 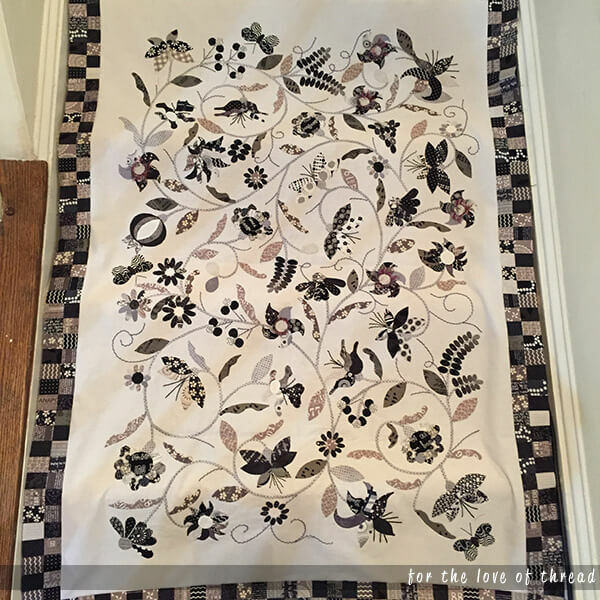 Beautiful Botanicals: That one time I combined my grayscale phase with my hand appliqué phase. 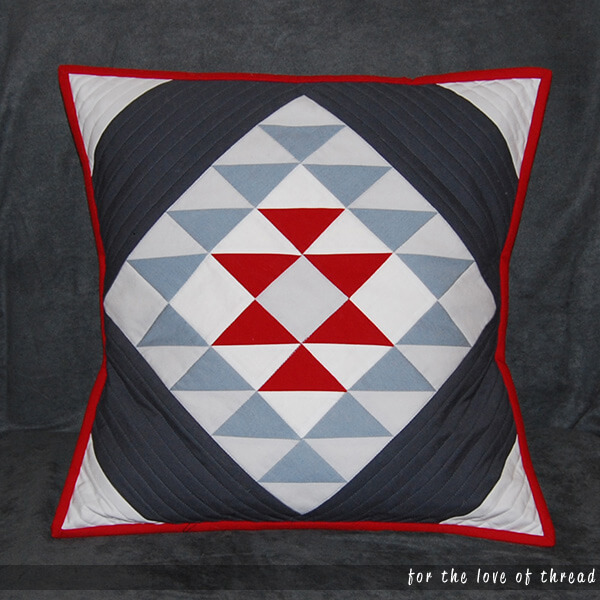 Two months ago, the Fat Quarter Shop posted a tutorial for the Santa Fe pillow. As someone who is completely changing up the design of my living room, this was a very timely tutorial! My finished Santa Fe pillow.